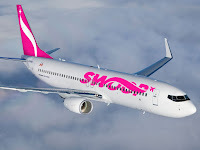 One of the newest Canadian airlines, Swoop, has released its domestic winter schedule this week as well as welcoming its third aircraft. The new aircrafts inaugural flight will be from Abbotsford International Airport (YXX) to Edmonton International Airport (YEG), departing 25th July 2018 at 7.10am Service between Edmonton, AB and Abbotsford, BC will be offered three-times daily. 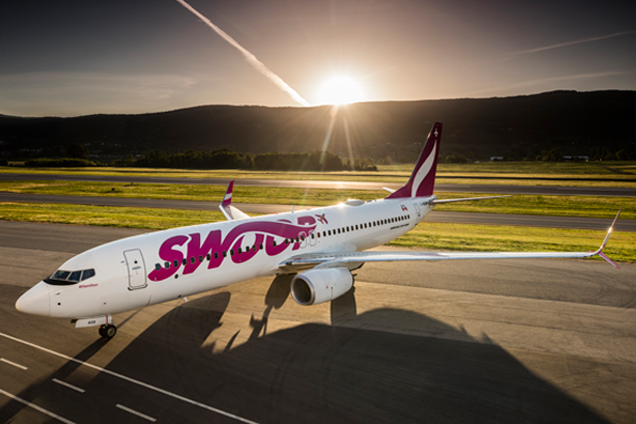 Swoop started its flying operations on 30th June 2018 and seems to be bedding in well with the Canadian public with regularly full flights. "Swoop has been endorsed by Canadian travellers in the way that matters most, they are buying seats," said Michael Claeren, Senior Leader of Revenue and Pricing. "With strong sales going into the fall and full aircraft throughout the summer, we are proud to offer non-stop ultra-low-cost flight options from coast-to-coast." The extended schedule continues to serve Swoop's five markets of Halifax, Hamilton, Winnipeg, Edmonton and Abbotsford. 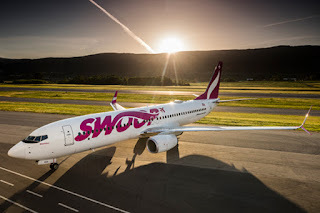 "We are thrilled to welcome Swoop's new daily service to Abbotsford," said Tom Ruth, President and Chief Executive Officer of Edmonton International Airport. "We know there is a strong demand for service to Abbotsford and we are very happy to see Swoop respond with an excellent three times daily service schedule." "In the past few years, the Abbotsford International Airport has seen unprecedented growth in passenger volumes and flight options, providing convenience and low-cost opportunities to an increasing number of destinations," said Abbotsford Mayor Henry Braun. "This announcement will provide greater connectivity between Alberta and British Columbia, continuing to support economic development across the Fraser Valley Region."